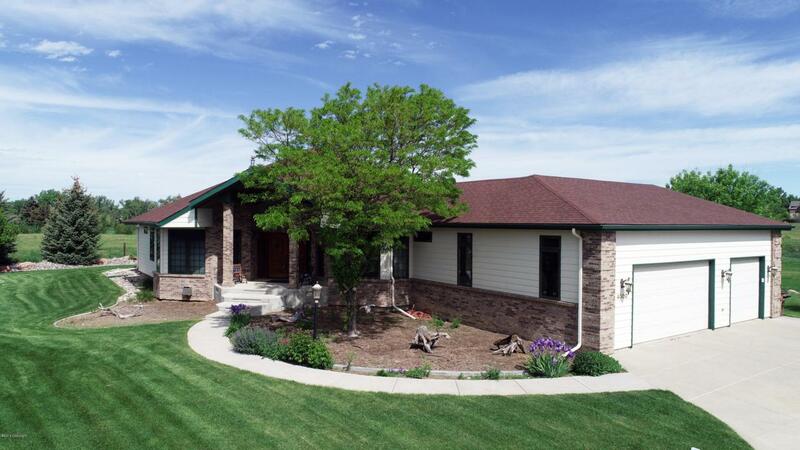 YOU will LOVE this Executive's Custom Designed Ranch Style Home! As you approach the home You have a Welcoming Double Door Front Entry. Inside the Home offers It offers Main Level Living and a Finished Walkout Basement. The Large Master Suite is Amazing ! It Features Custom bordered carpet, A Custom Designed Soaker Tub, Steam Shower 2 Vanities & a Huge Walk-in Closet The rear of the home has both a Deck & Patio. Just imagine lounging on the deck overlooking Donkey Creek and watching the Deer and Antelope play! The Eat-in Kitchen is a Cook's Dream with Granite Counter Tops, an Appliance Garage, Built-in Ovens & Stove with Double ovens! There is a nice Formal Dining Room with Sunny Southern exposure.Downstairs is a big Family room with a cozy Gas Fireplace and 3 more bedrooms and 2 baths. Located on a Quiet Cul-de-sac near Schools, Parks, College, and Rec Center makes this very convenient yet private location!